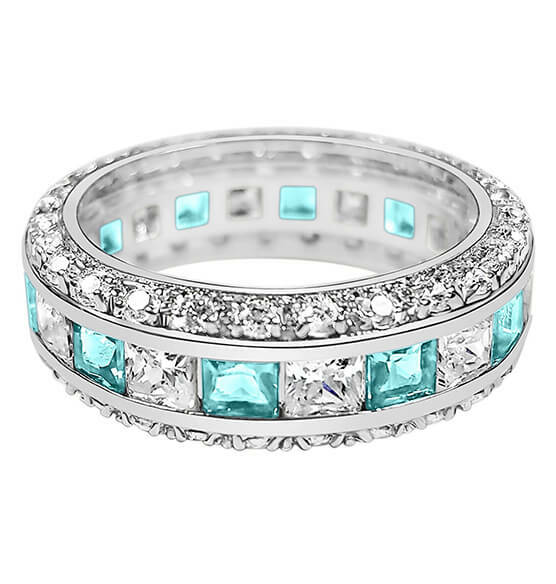 Sparkling birthstone eternity ring beautifully represents never-ending love. 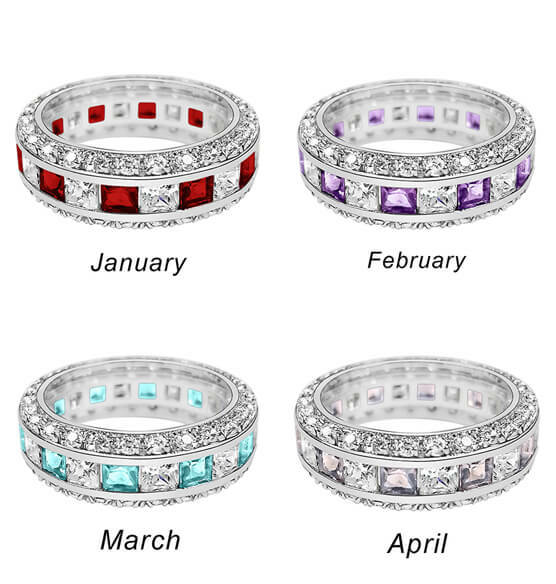 Birthstone and CZ Sterling Silver Ring features alternating birthstones and cubic zirconia channel-set between 2 rows of CZs. 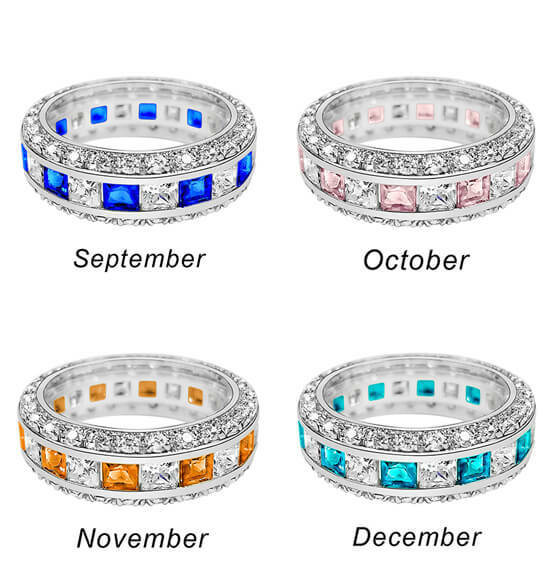 A perfect gift for Mother's Day, anniversary and more! 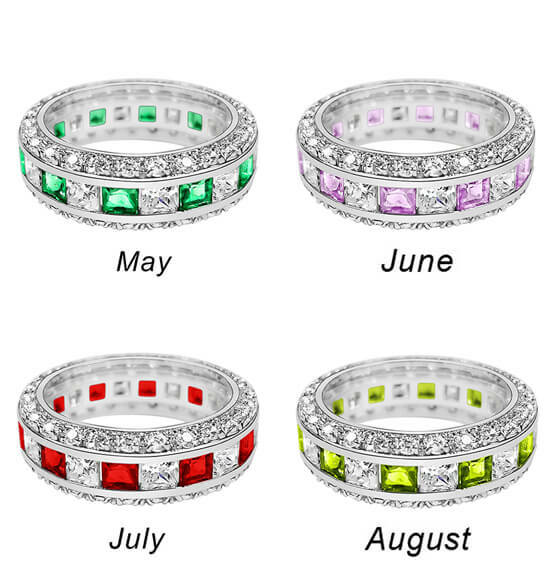 Specify month and ring size.